It is often said that novelists write one or two books that are unpublishable while they are honing their skills. The problem is that when they are highly acclaimed and die, their readers are still clamouring for more. One of two things happens. Either, if they are a genre writer, someone is commissioned to continue the same sequence or their discarded notes are used to create more work – look at the Tolkien volumes that appeared after his death. Sometimes a whole manuscript is found. It might be the early efforts or a good novel that didn’t find a market at the time for a variety of reasons. Whichever it is, publishers like to continue making money from bankable authors. 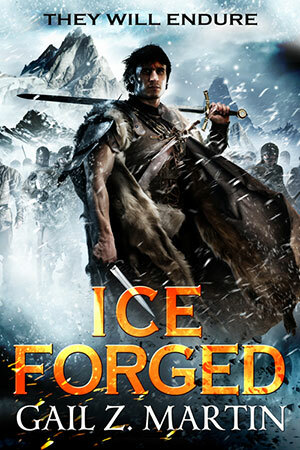 Thus, when this novel from David Gemmell surfaced, Gollancz were eager to give it exposure. 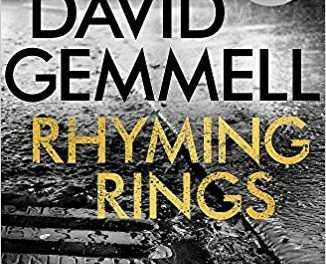 Rhyming Rings is a crime novel with the barest hint of fantasy. It does, however, contain many of the hallmarks that dominated Gemmell’s later and better known books. A tip often given to aspiring authors is to write about what you know. At the time of writing this, Gemmell was a reporter. The main character here, Jeremy Miller, is a reporter. He is arrogant, thinking he knows better than the others on the staff and is surprised and frustrated by being given mundane jobs, like covering a Women’s Institute meeting. There he first comes across the psychic, Ethel Hurst and thinks he might be able to write a feature article about her. In the meantime, other staff are sent to cover what is the first of a series of murders in the town. Although Ethel doesn’t want to be written about, she is prepared to use her talents to help find the killer, putting herself in danger. For anyone who has knowledge of Gemmell’s background it is easy to see the connections between Gemmell and Jeremy which will lead the reader to guess that the portraits painted of Jeremy’s colleagues may well be based on real people. This could be one reason why Rhyming Rings was never published in his life-time. He freely admits that he drew on the foibles of the people he worked with to flesh out the characters in Legend, his first published novel. Like Gemmell, Jeremy is writing a swords and sorcery fantasy novel. The question that will inevitably be asked, is whether this book is worthy of publication. On the plus side, it is a fast, action packed story which also takes time to explore some of the better side of humanity, especially Ethel and her friend Mr Sutcliffe. The plot itself is sufficiently intriguing to keep the reader engaged though there are a few tropes that are reused. On the minus side, Jeremy starts of very unlikable, though he develops a softer side as the novel progresses. His colleagues seem to be as crass as he is. 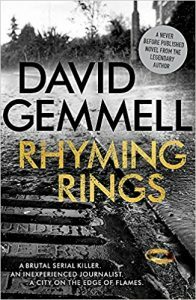 It is very much e novel with which Gemmell learned to write and scholars will enjoy tracing some hallmarks which begin here and make it through into his better known, and better, novels. 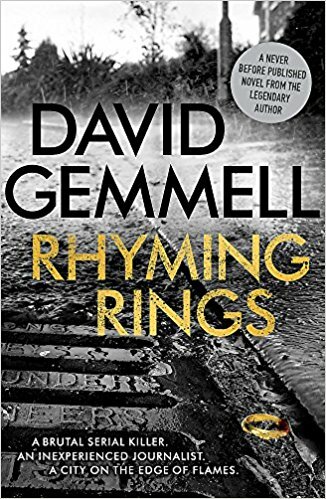 Whether, Gemmell would have had the same success if he had stuck to writing crime is doubtful as there is a lot of similar competition around. I am pleased that he decided to make his mark with the fantasy. The book has a delightful afterword from Stan Nicholls.